United Technologies Corp. (NYSE: UTX) has announced plans to divide into three independent companies after it completed its $30B purchase of Rockwell Collins (NYSE: COL). UTC said Monday it will combine its aerospace systems business with Rockwell Collins to form Collins Aerospace Systems and expects the transaction to be $0.15 to $0.20 accretive to the conglomerate’s adjusted earnings per share in 2019. Collins Aerospace and Pratt & Whitney will make up UTC that will continue to supply technology platforms to defense and aerospace markets. UTC’s elevators manufacturer Otis and building automation and refrigeration systems provider Carrier – formerly climate, controls and security business – will spin off into two independent entities. 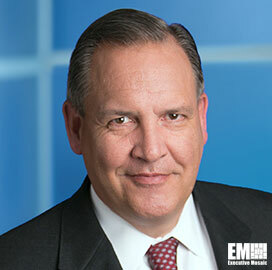 “Our decision to separate United Technologies is a pivotal moment in our history and will best position each independent company to drive sustained growth, lead its industry in innovation and customer focus, and maximize value creation,” said Greg Hayes, UTC chairman and CEO. Hayes will continue to serve in his roles at UTC and lead the proposed separation, which is subject to approval by UTC’s board and other customary closing conditions. UTC expects the planned separation to conclude in 2020 and be tax-free for its stockholders. Goldman Sachs & Co. and Evercore (NYSE: EVR) act as UTC’s financial advisers in the proposed portfolio separation, while Wachtell, Lipton, Rosen & Katz advises the company on the transaction’s legal aspect. UTC updated this year’s financial outlook following the completion of the acquisition and now expects to record $64.5B to $65B in 2018 sales and up to $4.5B in free cash flow. UTC wrapped up the acquisition days after it secured approval from Chinese regulators for the transaction.